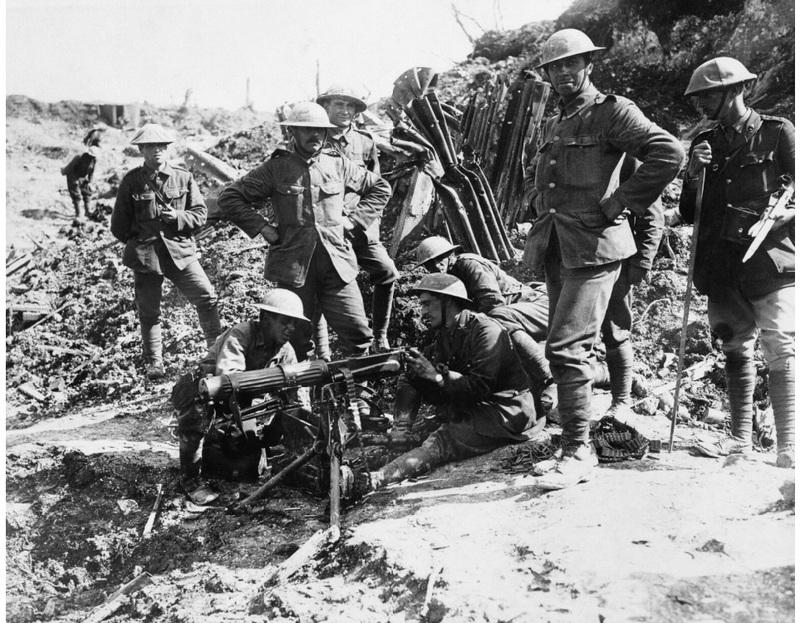 Canadian soldiers testing a machine gun during the Battle of the Somme. September 1916. The Battle of the Somme (French: Bataille de la Somme, German: Schlacht an der Somme), also known as the Somme Offensive, was a battle of the First World War fought by the armies of the British and French empires against the German Empire. It took place between 1 July and 18 November 1916 on both sides of the upper reaches of the River Somme in France. The battle was intended to hasten a victory for the Allies and was the largest battle of the First World War on the Western Front. More than three million men fought in this battle and one million men were wounded or killed, making it one of the bloodiest battles in human history. A Universal Carrier of the 4th Field Regiment, Royal Canadian Artillery (R.C.A. ), Vaucelles, France, 18 or 20 July 1944.